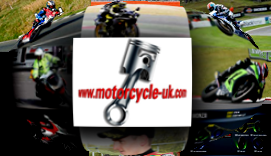 Motorcycle UK started in 1995 and has become THE destination for quality biking brands and info. The CBT course is required by all new riders except full moped licence holders. The CBT course consists of a classroom briefing on laws and safety then moves on to the rider training on our custom-built training circuit. If you have a full car licence you may ride motorcycles up to 125 cc and 11 kW power output, with L plates (and/or D plates in Wales), on public roads, but you MUST still first satisfactorily complete a CBT course if you have not already done so. The A2 restricted licence course allows riders to ride any motorcycle up to 33bhp for 2 years, then any motorcycle after the 2 year period. You must be 17 years old or older and hold a full car or provisional motorcycle licence and have a Motorcycle Theory Test Certificate. To practise, they can ride larger motorcycles, with L plates (and/or D plates in Wales), on public roads, but only when accompanied by an approved instructor on another motorcycle in radio contact. On completion of the D.A.S and relevant test, the rider will be entitled to a full motorcycle licence, allowing the rider to use any CC and bhp motorcycle. Fully qualified instructors will cover all the necessary requirements for safe and fun riding in today's environments. Often these courses can be carried out on your own motorcycle or a ‘hire’ machine. Bikesafe police run courses are often run in many regions.